The Endangered Species Act (ESA) was established in 1973 to protect "imperiled species and the ecosystems upon which they depend" and help them recover. The Trump administration has put forth a number of proposals that would weaken the ESA. These include measures to allow for the consideration of economic impacts when enforcing the ESA, ending the practice of automatically giving threatened species the same protection as endangered species, and making it easier to remove species from the endangered list. In a way, this is nothing new because the ESA has been under attack for decades from construction, development, logging, water management, fossil fuel extraction and other industries that contend the act stifles economic development. But between 2016 and 2018 alone, there were almost 150 attempts to undercut the ESA; and last year, from July 8 to 22, Republicans in Congress or the Trump administration introduced 24 such measures and spending bill riders. These bills included efforts to remove the gray wolf's protected status in Wyoming and the western Great Lakes; a plan to remove from the endangered list the American burying beetle that lives on oil-rich land; and a strategy to roll back protection of the sage-grouse, which also inhabits oil-rich land in the West and whose numbers have declined 90 percent since the West was first settled. The Trump Administration recently opened up nine million acres of sage-grouse habitat to drilling and mining. Endangered species, if not protected, could eventually become extinct—and extinction has a myriad of implications for our food, water, environment and even health. Ninety-nine percent of all species that have ever lived have gone extinct over the course of five mass extinctions, which, in the past, were largely a result of natural causes such as volcano eruptions and asteroid impacts. Today, the rate of extinction is occurring 1,000 to 10,000 times faster because of human activity. The main modern causes of extinction are the loss and degradation of habitat (mainly deforestation), over exploitation (hunting, overfishing), invasive species, climate change, and nitrogen pollution. There are also other threats to species such as the pervasive plastic pollution in the ocean—a recent study found that 100 percent of sea turtles had plastic or microplastic in their systems. Emerging diseases affecting more and more wildlife species such as bats, frogs and salamanders are the result of an increase in travel and trade, which allows pests and pathogens to hitch rides to new locations, and warming temperatures that enable more pests to survive and spread. Wildlife trafficking also continues to be a big problem because for some species, the fewer members there are, the more valuable they become to poachers and hunters. How many species are endangered? According to the International Union for Conservation of Nature's Red List of Threatened Species, over 26,500 species are in danger of extinction. This includes 40 percent of amphibians, 34 percent of conifers, 33 percent of reef-building corals, 25 percent of mammals and 14 percent of birds. 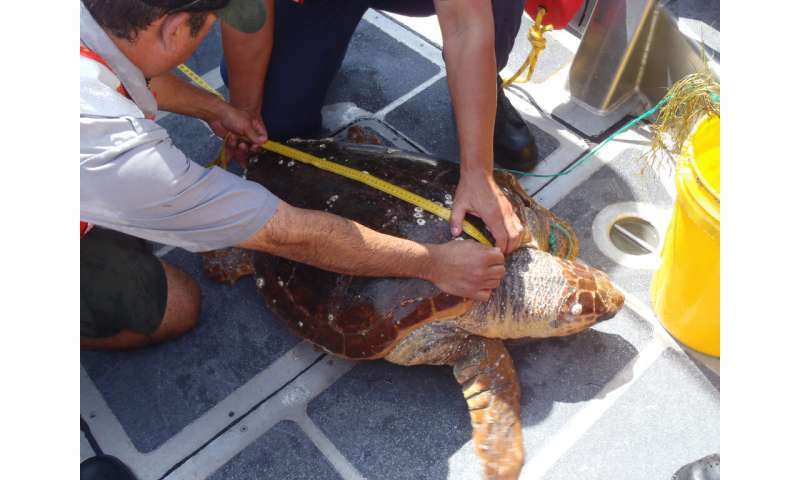 In the U.S., over 1,600 species are listed as threatened or endangered. A 2018 report by the Endangered Species Coalition found that ten species in particular are "imperiled" by the Trump administration's proposals: California condor, giraffe, Hellbender salamander, Humboldt marten, leatherback and loggerhead sea turtles, red wolf, rusty patched bumble bee, San Bernardino kangaroo rat, West Indian manatee, and Western yellow-billed cuckoo. While it may seem unimportant if we lose one salamander or rat species, it matters because all species are connected through their interactions in a web of life. A balanced and biodiverse ecosystem is one in which each species plays an important role and relies on the services provided by other species to survive. Healthy ecosystems are more productive and resistant to disruptions. A recent study found that extreme environmental change could trigger an "extinction domino effect." One of the study's authors said, "Because all species are connected in the web of life, our paper demonstrates that even the most tolerant species ultimately succumb to extinction when the less-tolerant species on which they depend disappear." So saving one species means saving its habitat and the other species that live there too. "When you lose one species, it affects the ecosystem and everything around it gets a little bit more fragile while it adapts to change," said Kelsey Wooddell, assistant director of the Earth Institute Center for Environmental Sustainability. "Even if it's not a keystone species [a species that others in an ecosystem depend on], its loss will weaken the functionality of the entire ecosystem, which just makes it easier for that ecosystem to stop working." What are the consequences of extinction? If a species has a unique function in its ecosystem, its loss can prompt cascading effects through the food chain (a "trophic cascade"), impacting other species and the ecosystem itself. Kelp forests are another classic example. They play an important role in coastal ecosystems because they provide habitat for other species, protect the coastline from storm surges and absorb carbon dioxide. Yet kelp forests are rapidly getting mowed down by exploding numbers of purple sea urchin. California sea otters eat the purple sea urchins that feed on giant kelp. These otters used to number in the hundreds of thousands to millions, but their population has been reduced to about 3,000 as a result of unchecked hunting in the 19th century and pollution. Moreover, in 2013 the sunflower starfish, which also eats purple sea urchins, began dying because of a virus that was likely exacerbated by warmer waters. Without the sea otter and the sunflower starfish predators, the purple sea urchin began feasting on the kelp forests, which declined 93 percent between 2013 and 2018. 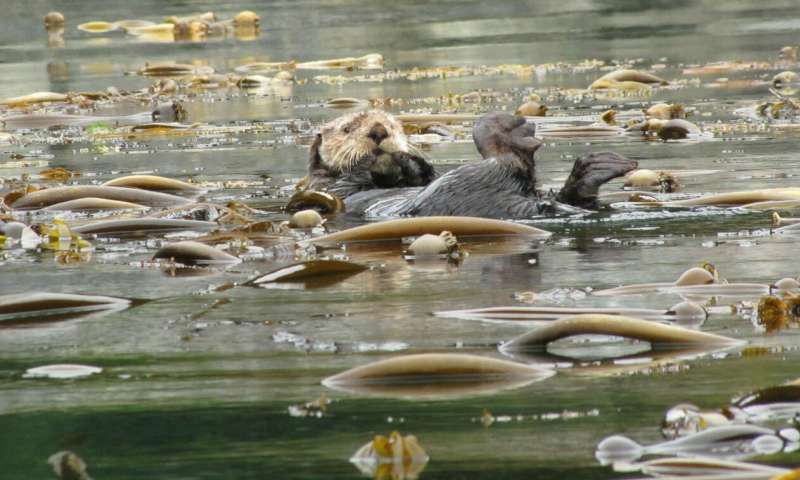 (A new study found that kelp forests are now also threatened by ocean heat waves.) The explosion of sea urchins not only damaged the kelp ecosystem, it also had serious impacts on Northern California's red urchins that are valued for sushi. Fish that need the kelp forests for spawning, such as sculpin, rock cod and red snapper may become vulnerable in the future as well. As another example, Wooddell explained that on Guam, after the invasive brown tree snake was accidentally introduced to the island in the 1950s, 10 of the island's 12 endemic bird species went extinct. "Typically birds eat seeds and spread seeds elsewhere on the island but that is no longer a functioning ecosystem," she said. "So the forest and the trees have decreased a lot. And Guam is covered in spiders because the birds are not there to eat them." Eliminating the large predators at the top of the food chain, the "apex species," may be humans' most serious impact on nature, according to one study. These large species are more vulnerable because they live longer, reproduce more slowly, have small populations, and need more food and a greater habitat area. Scientists say their loss has played a role in pandemics, fires, the decline of valued species and the rise of invasive ones, the reduction of ecosystem services, and decreased carbon sequestration. Elephants are an apex species that may go extinct in our lifetime, as a result of tourism, habitat loss and poaching for ivory. This could dramatically change ecosystems in Africa and Asia. Through consumption and digestion, elephants disperse more seeds farther than any other animals; this fosters the growth of plants and trees that birds, bats and other animals depend upon for food and shelter. 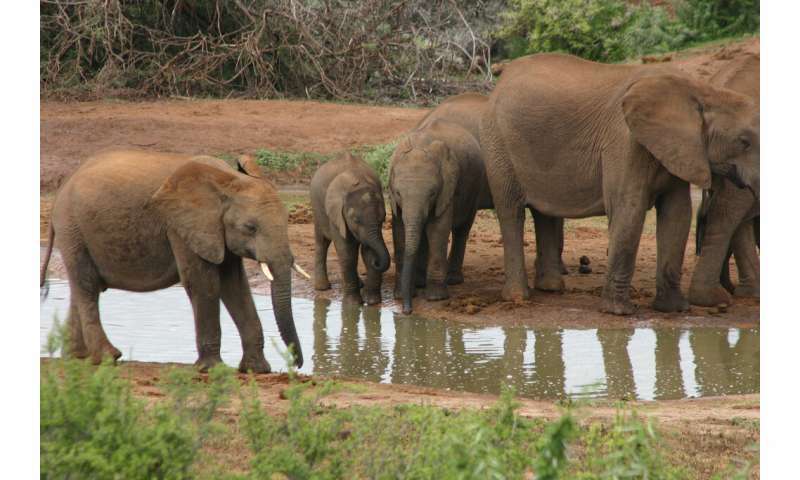 Elephants also dig water holes that all animals share, and they fertilize the soil with their rich dung, which provides food for other animals. The loss of apex species can also affect wildfires. After rinderpest, an infectious virus, wiped out many plant-eating wildebeest and buffalo in East Africa in the late 1800s, plants flourished. During the dry season, this over-abundance of vegetation spurred an increase in wildfires. In the 1960s, after rinderpest was eliminated through vaccinations, the wildebeest and buffalo returned. The ecosystem went from shrubbery to grasslands again, decreasing the amount of combustible vegetation, and the wildfires decreased. Seventy-five percent of the world's food crops are partially or completely pollinated by insects and other animals, and practically all flowering plants in the tropical rainforest are pollinated by animals. The loss of pollinators could result in a decrease in seed and fruit production, leading ultimately to the extinction of many important plants. Flying foxes, also known as fruit bats, are the only pollinators of some rainforest plants. They have been over-hunted in tropical forests with several species going extinct. One study noted that 289 plant species, including eucalyptus and agave, rely on flying foxes to reproduce; in turn, these plants were responsible for producing 448 valuable products. Bees pollinate over 250,000 species of plants, including most of the 87 crops that humans rely on for food, such as almonds, apples and cucumbers. But in recent years, large populations of bees have been wiped out by the mysterious "colony collapse disorder" wherein adult honeybees disappear from their hive, likely in response to numerous stressors. Over the last 20 years in the U.S., monarch butterflies, which pollinate many wildflowers, have decreased 90 percent. The rusty-patched bumble bee, another important pollinator and the first bee species to be put on the endangered list, now only occupies one percent of its former range. Insect populations overall are declining due to climate change, habitat degradation, herbicides and pesticides. A 2014 review of insect studies found that most monitored species had decreased by about 45 percent. And a German study found 75 percent fewer flying insects after just 27 years. As insect populations are reduced, the small animals, fish and birds that rely on them for food are being affected, and eventually the predators of fish and birds will feel the impacts as well. One entomologist who had studied insects in the rainforest in the 1970s returned in 2010 to find an up to 60-fold reduction. His study reported "a bottom-up trophic cascade and consequent collapse of the forest food web." Plankton, tiny plant and animal organisms that live in the ocean or fresh water, make up the foundation of the marine food chain. Phytoplankton are critical to the health of oceans and the planet because they consume carbon dioxide and produce oxygen during photosynthesis. In 2010, researchers found that phytoplankton had decreased 40 percent globally since 1950, and attributed the decline to rising sea surface temperatures. The scientists speculated that the warming surface waters did not mix well with the cooler, deeper waters rich in nutrients that phytoplankton need. In addition, zooplankton are very sensitive to slight changes in the amount of oxygen in the ocean, and may be unable to adapt as areas of low oxygen expand due to climate change. The quantity and quality of plankton also affects the nutrition of other creatures further up the food chain. In the Mediterranean Sea, the biomass of sardines and anchovies declined by one-third in just ten years. One scientist speculated that this is because the sardines' and anchovies' normal plankton had disappeared, so they had to resort to eating a less nutritious species of plankton with fewer calories. Changes in plankton quality could be a result of water temperature, pollution or lack of nutrients, but scientists are not exactly sure why the plankton makeup in some places is changing. If it is due to global warming and pollution, some say the situation could worsen. However, Sonya Dyhrman, a professor in Columbia University's Department of Earth and Environmental Sciences who studies phytoplankton with the Lamont-Doherty Earth Observatory, is more sanguine about the future. "Microbes like phytoplankton can adapt, can acclimate, and can evolve, so I worry less about lineages of phytoplankton going extinct and more about how phytoplankton community composition will change in the future ocean," said Dyhrman. A different community composition of phytoplankton could change the food web structure, but Dyhrman is not really worried about the total collapse of fisheries. She is concerned, however, that "there could be changes in ocean ecosystems and we don't really know what those changes will be. What will the architecture of that ecosystem look like in the future? The problem is, the ocean is already changing and we don't understand the architecture of the ecosystem right now well enough to predict what will happen in the future." More than a quarter of prescription medications contain chemicals that were discovered through plants or animals. Penicillin was derived from a fungus. Scientists are studying the venom of some tarantulas to see if one of its compounds could help cure diseases such as Parkinson's. One molecule from a rare marine bacterium could be the basis of a new way to treat to melanoma. Scientists have so far identified about 1.7 million different types of organisms, but between 10 and 50 million species are thought to exist on Earth. Who knows what substances or capabilities some of these species might possess that could help treat diseases and make human lives easier? According to a study for the U.N., the continued loss of species could cost the world 18 percent of global economic output by 2050. Already, a number of industries have been economically impacted by species loss. The collapse of bee populations has hurt many in the $50 billion-a-year global honey industry. Atlantic cod in the waters off of Newfoundland formed the basis of the local economy since the 15th century—until overfishing the cod destroyed the livelihoods of local fishermen. In North Carolina, the commercial scallop industry collapsed after the excessive hunting of large sharks in the northwestern Atlantic led to a proliferation of cownose rays, which devoured the scallops. Extinction is hard to see. We may not realize how much of the natural world has been lost because the "baseline" shifts with every generation. Past generations would regard what we see as natural today as terribly damaged, and what we see as damaged today, our children will view as natural. Wooddell believes the most important thing one can do is to put pressure on Congress and elected leaders to create land management, pollution and other sustainable policies that will protect biodiversity and the environment. However, because it's unlikely that these kinds of top-down policies will be instituted in the current political climate, she recommends mobilizing grassroots community groups to create "bottom-up" policies. Eat less meat. Soybean production is one of the main causes of deforestation, and most soybean meal is used for animal feed. Buy organic food because organic farmers use only non-synthetic or natural pesticides on their crops. Synthetic pesticides may be toxic for other organisms. Choose sustainable seafood. The Marine Stewardship Council provides a list of certified sustainable fish for responsible eating. Compost food waste. In New York City, the compost is used for urban farming and gardening, which provide habitat for pollinators. Buy wood and paper products certified by the Forest Stewardship Council, to ensure they're harvested from responsibly managed forests. Don't buy products made from endangered or threatened species, such as tortoise shell, ivory, coral, some animal skins, and "traditional" medicines. Be aware of the source of palm oil used in countless food and cosmetic products. Many tropical forests are being razed for palm oil plantations. If a product contains palm oil, make sure it's from a deforestation-free plantation. If you have a garden, plant native shrubs and flowers that attract butterflies and other pollinators. Milkweed is particularly helpful for monarch butterflies. Diversify your diet. Eating these 50 foods will promote biodiversity and a healthier plant. Support and get involved with organizations that are helping endangered animals. Join the Center for Biological Diversity and use their Take-Action Toolboxes. "In North Carolina, the commercial scallop industry collapsed after the excessive hunting of large sharks in the northwestern Atlantic led to a proliferation of cownose rays, which devoured the scallops." This was based on a paper that has since been debunked. The paper led to cownose rays being demonized and persecuted, including with bowfishing contests that sought to slaughter as many as possible. In 2017, Maryland passed a moratorium on fishing contests that target the rays, and the state is now in the process of extending the moratorium until a management plan can be put in place for the rays - one which will hopefully include a permanent ban on not solely the contests but all intentional fishing for the rays. Google: Save the Rays Maryland for details. Please correct the faulty information in this article.